Air cured beef, arugula, capers Parmigiano cheese. grilled eggplant, zucchini, portobello calamari, carciofi & homemade mozz. Veal scaloppine sauteed with shiitake mushrooms & sun dried tomatoes. Chicken & Sausage sauteed with herbs and balsamic vinegar. Veal scaloppine in a Grand Marnier sauce topped with fresh oranges. It’s always great. Yummy food. Excellent service. Always consistent delicious food. Owner Enzo and Gus always welcoming and accommodating to any dietary needs. Our reservation was honored right on time. The restaurant was very busy-not an empty table-but service was gracious, prompt & non-obtrusive. Food was absolutely delicious. Was a little noisier than our last visit because it was so busy but we were in a lovely corner table and you could still have a conversation without raising your voice. Tables are well spaced. Excellent dining experience. We have been there before and will definitely be back. We always arrive a bit early to relax and enjoy a cocktail before going to the table. Wonderful service. My favorite appetizer is Carpachio of Salmon, topped with fresh cheese over shredded greens. Entrie whether pasta, poultry, beef, veal or fish all great anyway you order. Great wines, espresso and biscotti. This place has been showing up on the Open Table email recommendations so I figured I’d give it a try. First off they made me wait 15 minutes to seat me. The acoustics and noise were piercing The food was mediocre at best and was overpriced for the quality The place is also right out of central casting for the Sopranos but I can assure your Artie Buco is not the chef The bartender was equally as unremarkable too. Pass on this place. Charming place. Great mix of food and service. We will be back. From start to finish, an absolutely fantastic evening! Atmosphere, service and most importantly the food were at the absolute highest level! One of the best restaurants on Long Island! My wife, friends and I have be going to La Ginestra for years. The food has always been excellent. Last night the dinner for four was superb. My friend had the Pollo Scarpariello. Not only did he say it was the best Scarpariello that had ever had, but also said "I finally know how this dish should taste." I had the Zuppa di Pesce. The seafood was perfectly cooked. My wife is always a fan of the Insalata di Long Island and the Linguine con Vongole. Gus is always there to greet you with a smile, a handshake and there to say goodnight. Julie is one of the hardest working waitress I have ever seen. She is always sweet and she makes certain that the food arrives promptly . 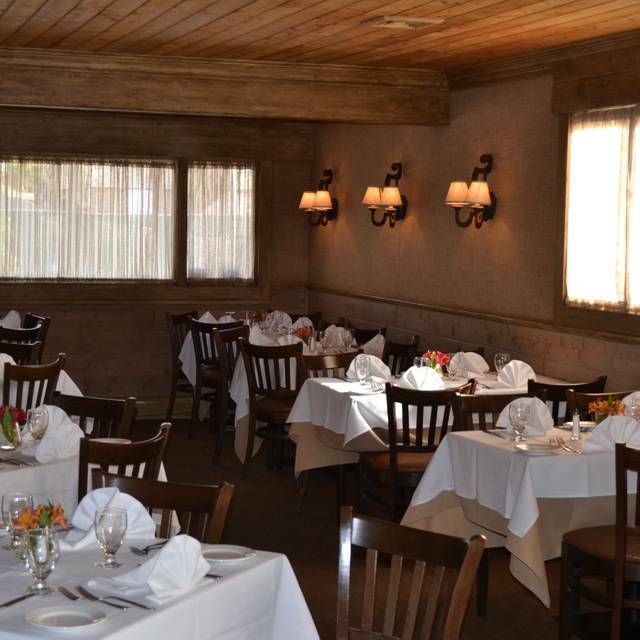 La Ginestra, is without question the best Italian restaurant on Long Island. This was the first time we went to this restaurant and enjoyed it very much. Will return. We love this restaurant. The service, food and ambiance are always fantastic. Valentines Day. Waiters did very well to keep up with the crowd. Love this place! Owner very attentive! Outstanding ... it was our first time to the restaurant and everything was amazing...the food, service, wine, etc. We will return and share our experience with our family, friends and colleagues. Awesome. The service and food was outstanding. La Ginestra is one of our favorites. We come back time and time again, sometimes for weeks on end, just because everything they serve is delicious, beautifully presented and professionally done. We always feel at home and are never disappointed. We were there Saturday night and plan to return with friends this coming Saturday night. We used to live relatively close by, and now travel nearly 30 miles each way to continue to enjoy this wonderful place. Need I say more?? That to me is WRONG as a business owner you never throw your staff under the bus. You apologize for the bad experience and ask the people to come back another time (on them) to attempt to save the customers business. Excellent food and service as we have come to expect in our long history of dining at La Ginestra. We have NEVER been disappointed with any aspect of our dining experience on this wonderful north shore Italian cuisine. This is our special occasion go to restaurant. The food the service everything as usual was wonderful. Creative menu and everything delicious! Worth the price! Entrees included veggies and starch no alacarte. Casual to dressy. Very friendly staff. Food was fresh and delicious. We went to dinner on Friday evening and had four fantastic dinners. Everyone had a different meal. I had the grilled veal rib chop and it was done to perfection. Everyone else enjoyed their meals without complaint. It was not an inexpensive restaurant.